Discussing: "The Faithful Artful Life"
"Christian Life in the Apostle Paul"
Here's a glimpse of the 2015 Workshop. It was a grand time as you can see by the slideshow above. REGISTRATION IS NOW OPEN FOR 2016. THE 15 SPOTS WILL FILL QUICKLY! Harvester Island is a stunningly beautiful island off the west coast of Kodiak Island, Alaska offering refuge and adventure, contemplation and activity, solitude and community. It's wild, remote (population: no one but us) and a remarkable place to grow your writing. Leslie knows: she has written most of her books here over the last 38 years as she's lived and worked with her family in commercial fishing. 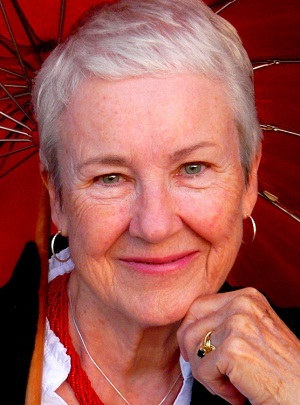 Jeanne Murray Walker is a writer and teacher who was born in Parkers Prairie, a village of a thousand people in Minnesota. She lectures and gives readings extensively in places ranging from The Library of Congress and Oxford University to Whidbey Island and Texas canyon country. Jeanne has written eight volumes of poetry, including Helping the Morning: New and Selected Poems, A Deed to the Light, and New Tracks, Night Falling. Her poetry and essays have appeared numerous journals, including Poetry, The Atlantic Monthly, The Christian Century, The American Poetry Review, The Georgia Review, Image and Best American Poetry. Her scripts, which have been performed in theaters across the United States and in London, are archived in North American Women's Drama, and are published by Dramatic Publishing Company. The Geography of Memory: A Pilgrimage through Alzheimer's, Jeanne's memoir, tells the hair-raising, often funny details of the decade she and her sister cared for their mother. Jeanne is a Professor of English at The University of Delaware, where she heads the Creative Writing Concentration. She also serves as a Mentor in the Seattle Pacific University Master of Fine Arts Program. She has appeared on PBS television and is frequently interviewed on the radio. Her work has been distributed across Pennsylvania on posters by The Center for the Book and has appeared on buses and trains with Poetry in Motion. An Atlantic Monthly Fellow at Bread Loaf School of English, Jeanne has also been awarded a Pew Fellowship in The Arts, a National Endowment for the Arts Fellowship, eight Pennsylvania Council on the Arts Fellowships, and The Glenna Luschei-Prairie Schooner Prize. For 20 years she was the Poetry Editor of Christianity and Literature. 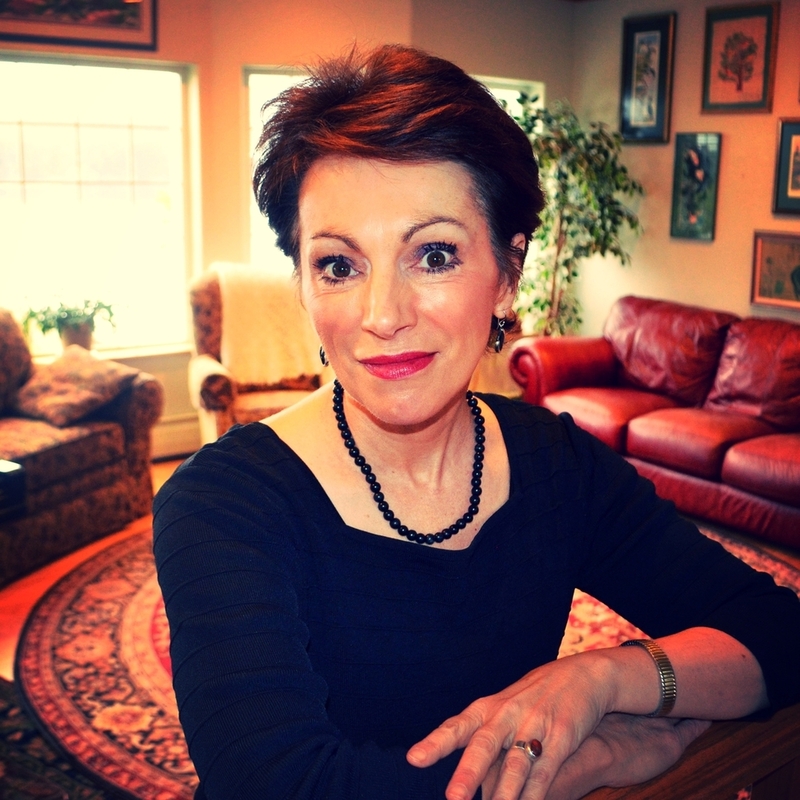 She currently serves on the Editorial Board of Image and Shenandoah magazines. Jeanne is a collaborating editor with Darryl Tippens of Shadow and Light: Literature and the Life of Faith, an historical anthology of literature. Image magazine called it the current "stand-out, single-volume" on the subject of spiritual questing. Jeanne lives with her husband outside Philadelphia. They are the parents of two children and the grandparents of three. A charter member of the Chrysostom Society of Writers, Shaw is author of ten volumes of poetry including Polishing the Petoskey Stone (Shaw, 1990), Writing the River (Pinon Press, 1994/Regent Publishing, 1997), The Angles of Light (Waterbrook, 2000), The Green Earth: Poems of Creation (Wm. B. Eerdmans, 2002), has edited three poetry anthologies and a festschrift, The Swiftly Tilting Worlds of Madeleine L’Engle, (Shaw, 1998). Her most recent books are What the Light Was Like (Word Farm), Accompanied by Angels (Eerdmans), The Genesis of It All (Paraclete), and Breath for the Bones: Art, Imagination & Spirit (Nelson). Her poetic work and essays have been widely anthologized. Shaw has authored several non-fiction prose books, including Water My Soul: Cultivating the Interior Life (Zondervan) and The Crime of Living Cautiously (InterVarsity). She has also co-authored three books with Madeleine L’Engle, WinterSong (Regent), Friends for the Journey (Regent), and A Prayer Book for Spiritual Friends (Augsburg/Fortress). "LIVING THE CHRISTIAN LIFE THROUGH THE APOSTLE PAUL"
After a leisurely breakfast, mornings will be spent in learning and discussion. Scot will lead us in considering the many ways the Christian Church revolutionized the Roman Empire. Paul’s mission was to create a community that crossed all boundaries, a"fellowship of differents," that made invisible people visible. How can the Church today live up to this still-revolutionary kingdom design? Afternoons will feature optional activities: whale watching, wildlife viewing, mountain and beach hiking. Each evening we will prepare our own fresh seafood dinner, followed by readings and special events: literary, cinematic, and Alaskan. For more information, email Leslieleylandfields@gmail.com. 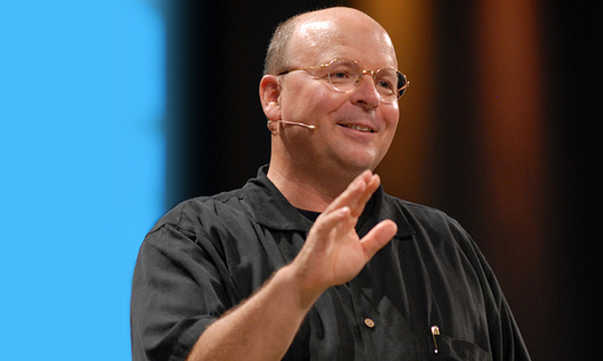 Scot McKnight is a recognized authority on the New Testament, early Christianity, and the historical Jesus. McKnight, author or editor of fifty books, is the Professor of New Testament at Northern Seminary in Lombard, IL. Dr. McKnight has given interviews on radios across the nation, has appeared on television, and is regularly speaks at local churches, conferences, colleges, and seminaries in the USA and abroad. Dr. McKnight obtained his Ph.D. at the University of Nottingham (1986). McKnight is the author of the award-winning The Jesus Creed: Loving God, Loving Others (Paraclete, 2004), which won the Christianity Today book of the year for Christian Living. His books include Embracing Grace: A Gospel for All of Us (Paraclete, 2005), The Story of the Christ (Baker, 2006), Praying with the Church (Paraclete, 2006), The Real Mary: Why Evangelical Christians Can Embrace the Mother of Jesus (Paraclete, 2007), A Community Called Atonement (Abingdon, 2007). He broadened his Jesus Creed project in writing a daily devotional: 40 Days Living the Jesus Creed (Paraclete, 2008). His studies in conversion were expanded with his newest book, Finding Faith, Losing Faith (Baylor, 2008), a book he co-authored with his former student Hauna Ondrey. Other books are The Blue Parakeet: Rethinking How You Read the Bible (Zondervan, 2008) and Fasting (Thomas Nelson, 2009). His other books include a commentary on James (The Epistle of James, NICNT), One.Life: Jesus Calls, We Follow, The King Jesus Gospel (Zondervan), Jesus is Lord, Caesar is Not (IVP, 2013), A Long Faithfulness: The Case for Christian Perseverance (Bondfire/Patheos Books, 2013),The Sermon on the Mount ( Zondervan, 2013), Kingdom Conspiracy: Returning to the Radical Mission of the Local Church (Brazos), andThe Heaven Promise: Engaging the Bible’s Truth about Life to Come (WaterBrook, 2015). COST: Five nights, 6 days, all inclusive (food, lodging, wilderness excursions) $1500. Leslie Leyland Fields is the author/editor of ten books, including Surviving the Island of Grace (Thomas Dunne), The Spirit of Food: 34 Writers on Feasting and Fasting Toward God (Cascade Press), Forgiving Our Fathers and Mothers (Thomas Nelson), and her forthcoming book, Crossing the Waters: Front Alaska to Galilee Following Jesus Through the Storms, the Fish, the Doubt, and the Seas. Her books have been translated into German, Chinese, French, Korean and Polish. Her essays have appeared in The Atlantic, Orion, Best Essays Northwest, Prairie Schooner, and many others earning her Pushcart nominations, the Virginia Faulkner Award, and a Genesis Award. She was a founding faculty member of Seattle Pacific University’s MFA program where she taught creative nonfiction for six years. Previously she taught Literature and creative writing at the University of Alaska. She is on the Editorial Board of Christianity Today; a national speaker addressing topics of faith and culture at conferences, retreats, and churches; and a popular radio guest with more than 200 interviews on stations around the country. Mornings, 9:00 - 12 pm, will be spent in classes and workshops with intensive and supportive guidance from Jeanne, Luci, and Leslie, both award-winning writers and veteran teachers. Jeanne, Luci and Leslie will team-teach a class and discussion, then we'll break into workshop groups. Poetry and playwrights will meet with Jeanne and Luci. Creative Nonfiction writers (memoir, essays, spiritual writing) will meet with Leslie. Afternoons will feature optional activities: whale watching, wildlife viewing, mountain and beach hiking. Each evening we will prepare our own fresh seafood dinner, followed by readings and special events, both literary and Alaskan. New, clean, comfortable heated rooms, all with mountain and ocean views, double occupancy for all but the dockhouse, a cabin that sits literally over the ocean, which sleeps 4. Do Please remember, though, this IS a wilderness island! We use an OUTHOUSE and BANYA. The banya is a Russian style wood-fired steambath in a separate building. Banya-bathing is available most every night. And both outhouses are clean and new, offering the best outhouse experience you've ever had---I promise! Still, if cleanliness is next to godliness for you, this may not be your workshop! *If you're interested in coming but the airfare to Alaska seems prohibitive, I have an idea or two to significantly defray that cost. Please write! *Cost: $300/day, with a minimum of 3 days, maximum of 10, (or as the retreat schedule permits. Leslie Leyland Fields speaks at Cedarville University chapel from the book of Jude, challenging the privatization of our faith.